Dominic Monaghan has been part of some groundbreaking entertainment over the years. 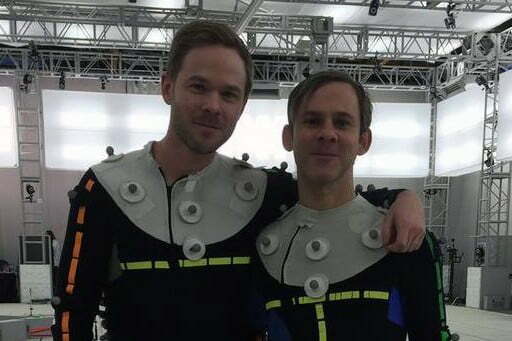 He played Charlie Pace in JJ Abrams hit TV series, Lost, Meriadoc Brandybuck in Peter Jackson’s Lord of the Rings films (as well as several of the video games) and William Joyce in Remedy’s Quantum Break video game. Monaghan can next be seen on the big screen and on pay-per-view starring as Robinson in Syfy Films’ Atomica. The near-future thriller transports viewers into the depths of a nuclear power plant. He’ll also be in the upcoming horror film, A Midsummer’s Nightmare, and the drama, Waterlily Jaguar. We caught up with Monaghan to discuss his career in genre films and TV shows in this exclusive interview. What was it like stepping into this near-future world of Atomica? It was great. At one point we were deep underground in this place in the middle of nowhere called Moby’s Lake in Washington State inside an actual nuclear silo. It took us probably 15- 20 minutes to get to our location underground. It was good they made us take Vitamin D tablets because we weren’t getting any sunlight for three weeks. Nuclear power plants are hidden in plain sight these days. How did working on the project inside one impact how you feel about them? When people hear nuclear power plant they always think of catastrophic disasters and terrible things like what happened at Chernobyl or Fukushima. And we should think of those things as a part of our history, but nuclear power can be very clean and be very powerful if it’s used correctly. There just has to be a very big responsibility in doing the right thing. In Atomica, it’s clear that the responsibility was given to some people who were having their own issues personally. Both Atomica and Pet introduced stories with a lot of twists and turns. What do you look for personally these days when you pick a new project ? It starts with a great script. When I read something I pick a project where I can really do something with it and I can really do something with the character. I like scripts that go places I did not expect, so you keep on turning the page. Then if I start to think what the guy’s going to wear, how he walks, what he eats, then I know I am onto something. Atomica is playing in theaters as well as across digital platforms simultaneously. How have you seen digital platforms open up new opportunities for actors, as well as for more sci-fi and genre entertainment? People were quite scared 10, 15 years ago when they realized that you can get all these digital online channels and what does that mean for movies, but ultimately it’s come back around again. It’s really opened up things beyond that classic television model and in terms of being an actor, there is always work. As an actor working in an artistic field, your priority should be the project itself. And the quality of projects out there has improved. 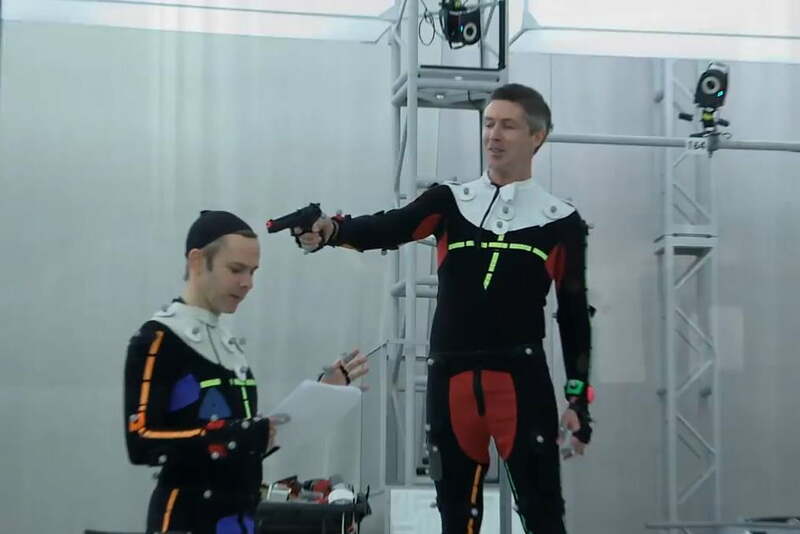 Speaking of projects, what was it like to blur the lines between storytelling and video games with Quantum Break? Quantum Break was great. I worked with (executive producer) Jaime Burke on that, who I actually made Atomica with. She told me about this game and asked me if I was interested in it and I said “yeah,” so then we worked on it. It’s a great thing to get involved with other actors and working at a high level in video games. Quantum Break was interesting because Remedy had both the game and the live action. Warner Bros. Interactive Entertainment has announced a new Lord of the Rings game called a Middle-earth: Shadow of War. Having been in previous Lord of the Rings games, what are your thoughts on games taking fans back into this universe long after the movies have ended? Video games tied to movies allow the player to stay in that world. If you absolutely fell in love with Warcraft or Harry Potter or Lego, you can go into that world and control it. It’s about the player having a little more control or a little bit more responsibility. I play a lot of FIFA and also this game called Skyrim, which has yet to be turned into a film. I spend a lot of time in Skyrim just looking for beautiful vistas and then just staying there for 15 minutes just looking at the view and breathing it in. It’s a very significant world at this point, bringing a lot of pleasure to people. Bethesda Softworks, the publisher of Skyrim, is working on virtual reality video games. What opportunities do you see VR for gaming and entertainment moving forward? VR in video games at the moment is where there’s been the most success. Eventually they’ll crack it with content like movies and TV. But the match to video games is a bit easier right now. In the not-too-distant future you’ll be able to be in the game and be able to walk around and explore it. That’s something I need to definitely check out with Skyrim, although VR can be a little disorientating so I don’t think I would play it for much longer than maybe an hour. Maybe a little bit longer, but staying in the world for too long could cause you to get sick. FIFA is also now a game where there are professional FIFA video game players. What are your thoughts on eSports? It’s great. I really respect those players’ ability to play those games at that level. I always thought it was great to see people play Diablo or Warcraft, as well other games like NBA Live and NHL. Seeing people play these sport simulators is just fascinating. I think this will only get bigger and better. Do your video game parties normally focus on sports games like FIFA? We play the original Halo and these old school PlayStation games like Hogs of War. It’s about having fun and using these video games to have a laugh with friends. Having worked on X-Men Wolverine: Origins, what are your thoughts on the opportunities these massive new Marvel super hero movies and TV shows are opening up for actors today? It’s great, man. The growth and quality of these projects today is fantastic. It wasn’t that long ago when I thought it’d be great to see a Marvel Spider-Man or X-Men movie. And now it’s this machine that keeps churning out content. As long as the content stays at this level, it’s a great thing.